According to reports, presidential candidate and Woman Hillary Clinton tried very, very hard to make sure no one found out about her $600 haircut at New York’s John Barrett Salon. But we did and now that’s a thing we know about her. Regardless of whether or not you approve of such a pricey style, presidential haircuts are now fair game for public discussion. 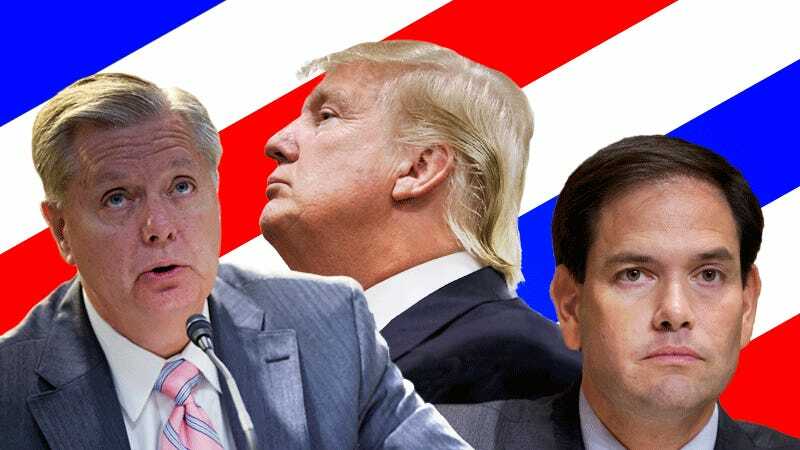 So, we asked Victor Szeto, a stylist at New York’s very fancy men’s salon Martial Vivot Salon Pour Hommes, how much he thought some of the GOP’s male candidates paid for their presidential cuts. He was not forgiving. Images by Bobby Finger/via Getty.